Enjoy your shopping with a well organized list. 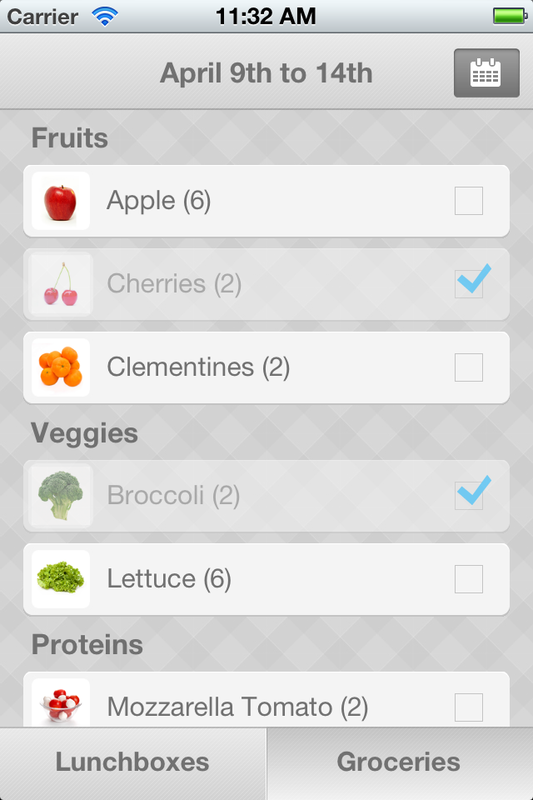 From the home screen, select 'Groceries' in the lower right corner. All your children's choices are compiled into a single list. Tick off items as you place them in your grocery basket. Pull up your grocery list from another week by clicking the calendar icon.